Happy Monday darlings!! Kicking this week off the right way with some bright pops of color, I mean, that's the only way to go for Spring/Summer fashion right?! Although, I'm a bright color/bold print kinda gal any time of the year. ;) I'm really obsessed with this new bright green bag by Olivia + Joy, will definitely get a ton of use out of this bag this Spring/Summer. 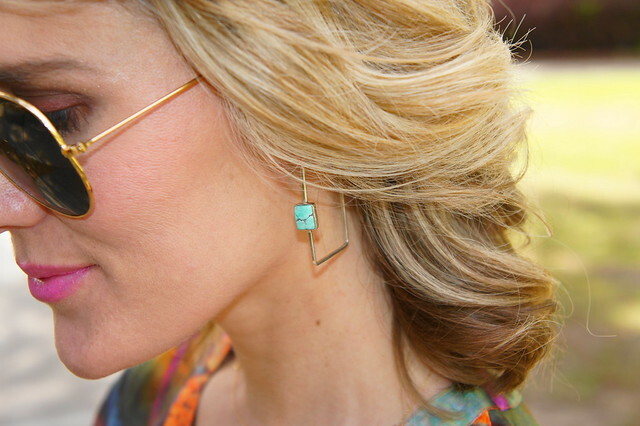 And, let me tell you about this new line that I am swooning over as of late -- Oroc! Oroc is a contemporary womens clothing line based in NYC, launched by founder, Vijay Paintal, and designed by Daniel Alicea. The Spring/Summer 2013 collection is seriously amazing. Every piece is incredible! I'll be featuring some more Oroc pieces on the blog in the next few weeks, so definitely keep checking back to see how I style them. Oroc's fabrics are easy breezy and uber comfy, so perfect for the hot and humid temps I'll be experiencing here in FL in the next few months. wow so love this outfit! great colors and that bag is awesome! 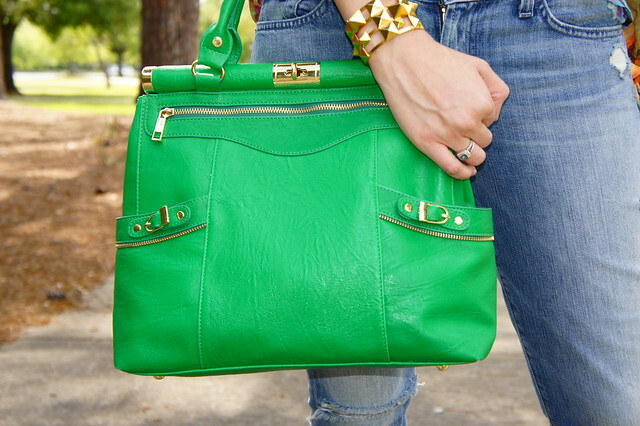 Adore your bag - what a gorgeous colour! 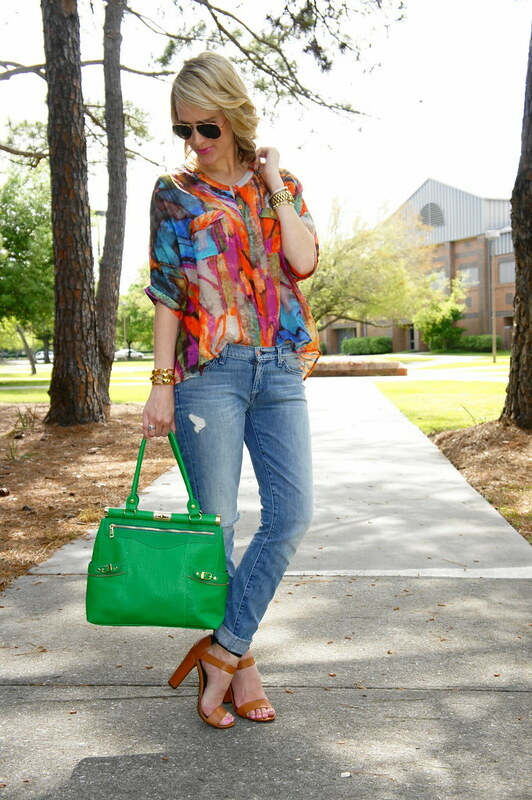 Such happy colours, and I just love the way the blouse fits you, it sits beautifully! 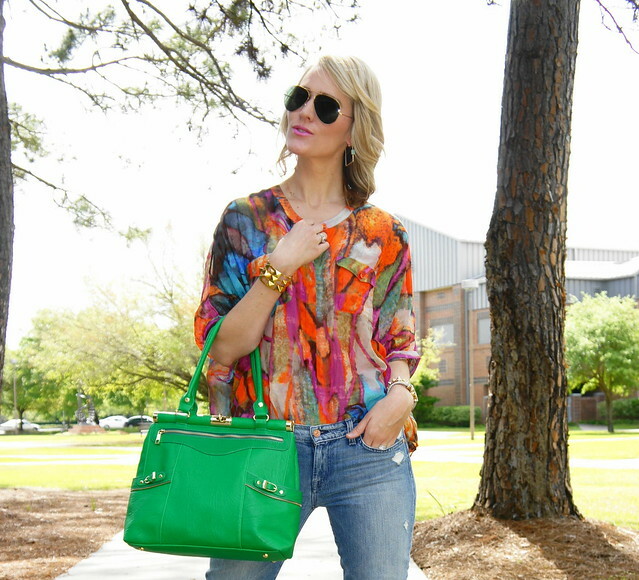 Gorgeous bag and blouse! Love your style girl! 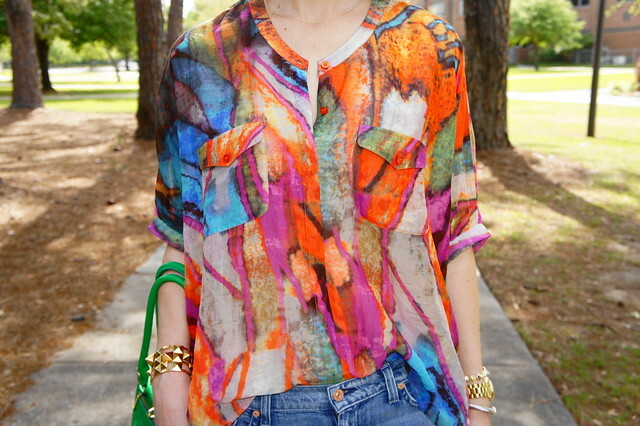 This is such a fun printed blouse! Love the bright colors! That blouse is amazing !